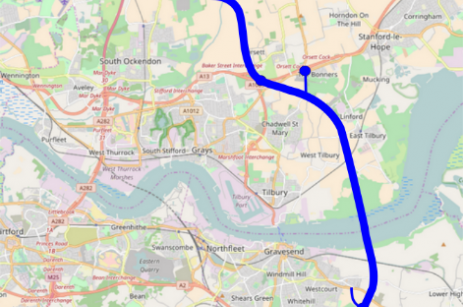 The Lower Thames Crossing’s consultation has reached the half-way point, meaning members of the public have had their say on whether they believe the Crossing’s design in its current state. The crossing is set to be Britain’s biggest road project since the M25 was opened for development in 1975. The project is set to double the road capacity across the Thames river and could halve the length of northbound journeys at Dartford Crossing when the crossing opens to drivers in 2027. Highways England began the nation’s most comprehensive consultation on a road project on October 10th, 2018. Along with making journeys much easier for drivers, the local representatives hope it will bring the communities closer together. During the consultation people from every area of the UK have been involved, demonstrating the importance of the scheme and the significance it will have for drivers on a nationwide scale. The planned 10 week consultation ends on December 20th, 2018 during which time the public can offer suggestions to improve the current design. Currently, the proposal includes a newly designed junction at Tilbury which would reduce traffic rather than the previously discussed link road which would only cause traffic in the area. “We are pleased by the level of interest in this project, and we remain determined to ensure that everyone who has an interest in it gets the chance to have their say. That’s why we’re holding the UK’s biggest public consultation into a roads scheme, and there’s still plenty of time and various ways for you to share your views, and ask the team any questions you may have.